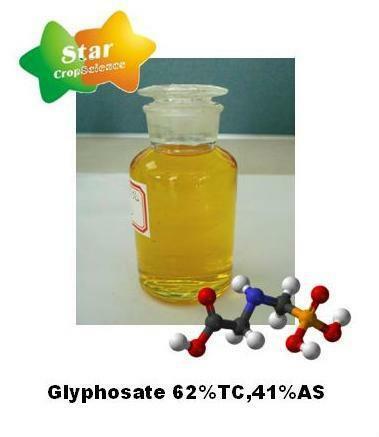 Glyphosate 62%TC, 41%AS Chemical name: N-(phosphonomethyl) glycine. Toxicity: Oral ld50 (rat): >750 mg/kg. Dermal LD50 (rabbit) >5, 000 mg/kg. Inhatation LC50: (4H) 5-12 mg/l.